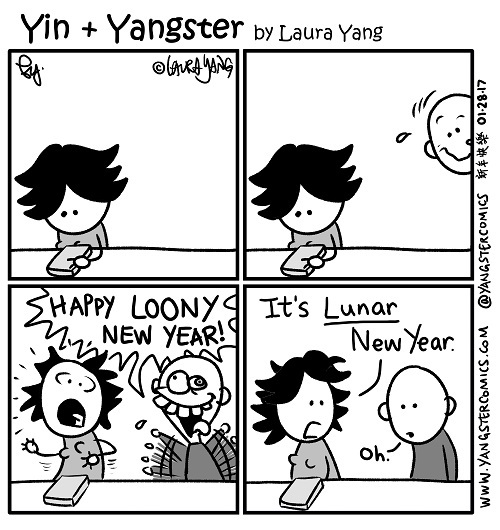 Well, not sure if y’all are awares but, today is Chinese New Year (though celebrated by Vietnamese, Koreans et al). It’s sort of like the Christmas of China. When I lived in Taiwan, you’d get a week off of work. Businesses were closed. People would migrate to their home town and spend lots of time with family eating good food and playing games. Kids would get red envelopes filled with moola. Said kids would then use this new-found moola to purchase candy or firecrackers. The foods you eat are homophonous with words that generally mean long life, health, money etc. Certain traditions before the actual Lunar New Year Day include sweeping up house (doing so after the new year means sweeping away all your good luck), preparing yourself to be fresh for a fresh year — haircuts and new clothes… Anyway, if you’d like more information on this National Holiday in China/Taiwan, visit http://www.chinesenewyears.info/chinese-new-year-history.php.